At Willrich Precision Instrument, you can find the latest selection of horizontal measuring arms. These instruments are ideal for inspecting sheet metal parts in various industries, including automobile, aerospace, appliance, defense, maritime, railway, and more. The open structure of horizontal measuring arms permits direct access to a production part, which significantly eases loading and unloading. 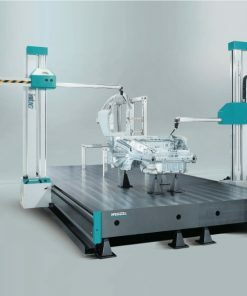 What’s more, these measuring arms can be integrated with an automated production line. The horizontal measuring arms that we carry are the perfect combination of user-friendliness, dependability, accuracy, and performance. Willrich Precision has more than four decades of experience in serving the metrology, gaging, and inspection industry. One of the specialty niches we cover is the provision of high quality horizontal measuring arms. When you purchase these measuring instruments from our online store, you can be sure that these products are trusted and used by highly skilled engineers. 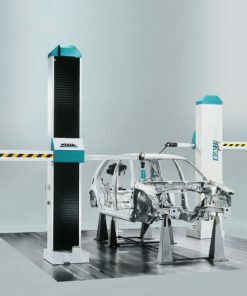 These horizontal measuring arms are the tools you can rely on to optimally tackle a wide variety of metrology applications, as well as simplify dimensional inspection, part loading and unloading operations. What’s more, they can integrate innovative industrial measurement technologies too. If you need assistance with any horizontal measuring arms purchase, don’t hesitate to call us at 866-945-5742 or email us at sales@willrich.com today.